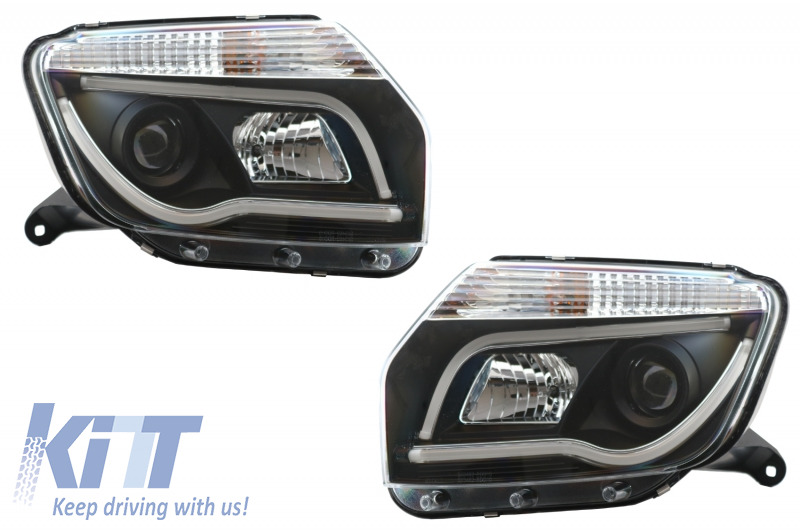 These Headlights are meant to improve the design of your Dacia Duster I and increase road security. 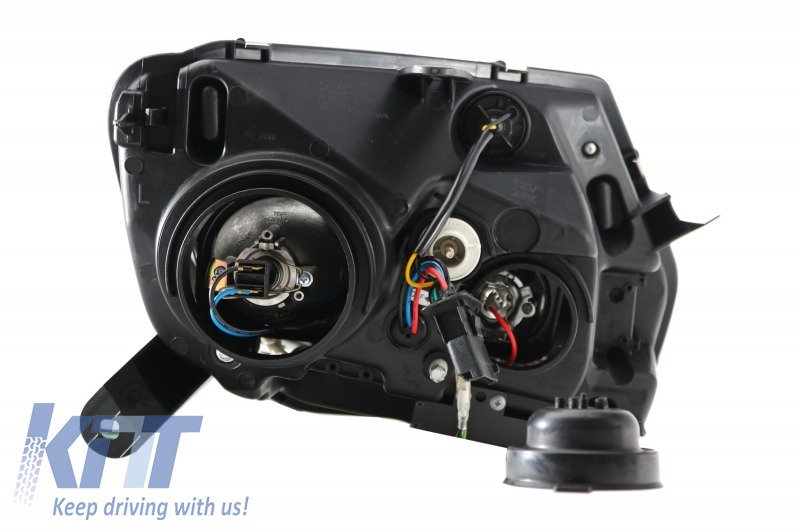 Regulation: electrical (electrical adjuster is not included). 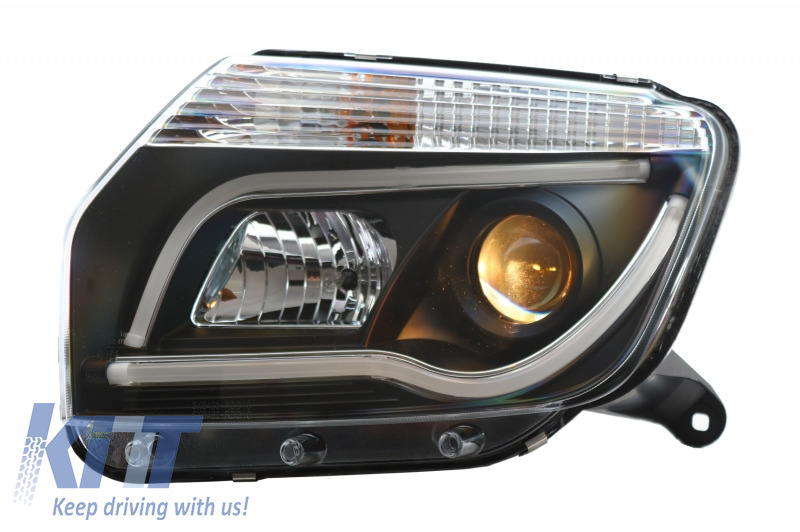 Approval: E-marked E6 – for street legal. 1 set includes 2 headlights. 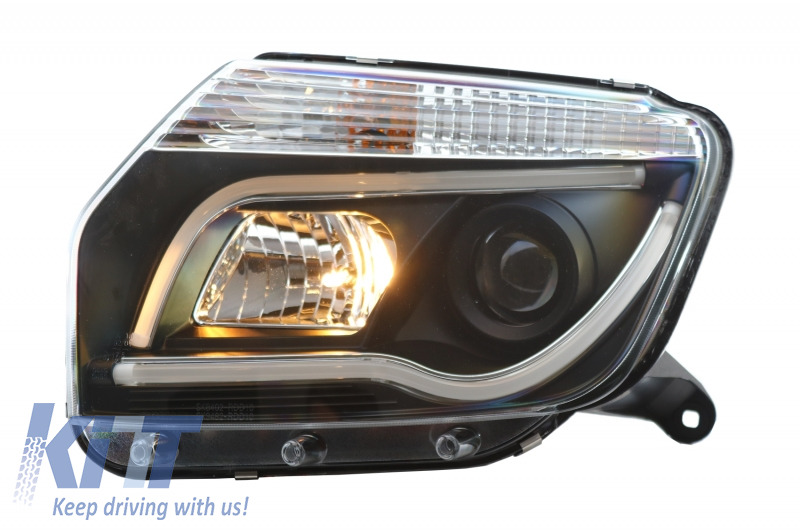 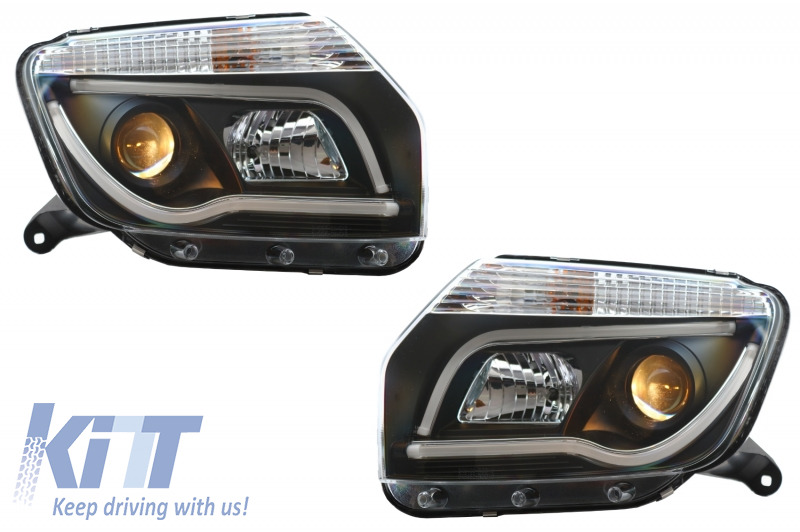 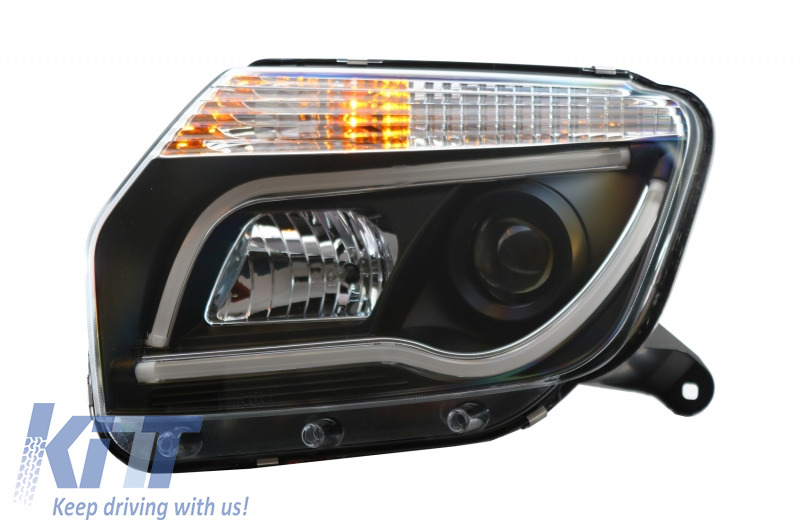 Buy it now LED Headlights suitable for Dacia Duster I (2009-2014) Tube Light Bar Black edition!